If you love to hit the slopes and have a passion for teaching others to do the same, then doing a ski instructor course and qualifying to become a ski instructor can be a great way to see the world and earn some money at the same time. Working a ski season is an adventurous way to spend your gap year or career break, allowing you to live and work in new countries, and gain both qualifications and experience. The question is though, how much can a ski instructor earn? That’s not a question with a simple answer, as rates and salaries vary from country to country but can vary within countries too, depending on the resort you work at and your training levels and skillsets. To help you to work out what you could potentially earn in a season, here’s our guide to ski instructor salaries around the world. Deciding where to work on your year out can be a challenge, as each country offers its own unique advantages, perks and attractions. The most popular destinations tend to be places like Canada, New Zealand or the USA, given the large number of ski resorts and the fact that everyone speaks the English language. You can also consider European countries, such as France or even Romania, while Asian destinations, such as Japan or China, are also an option, although they are much more challenging environments to work in on your year out. You’ll need to factor in your language skills, your level of qualification, and the kind of place you want to live for the season. Western European countries tend to pay higher salaries, but you may need more skills and be able to speak multiple languages, and you’ll need to factor in a higher cost of living. While North America can pay less, you may find it easier to source work at resorts. 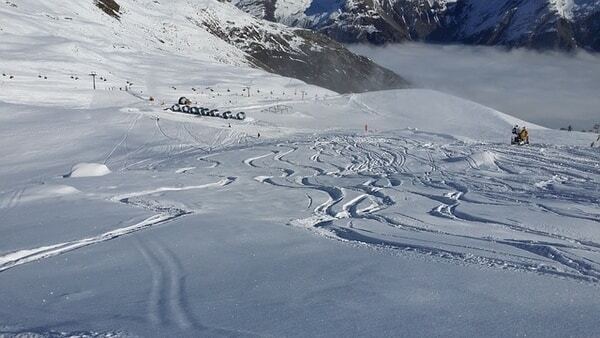 Ski seasons run for different lengths of time depending on where you are in the world. Before you jet off on your new adventure, you’ll also need to consider how many hours you’ll be working during the ski season. Some resorts offer freelance hours and hourly rates, which can give you more flexibility to enjoy the slopes in your own time or to explore the wider area, but it can also mean that you don’t have a guaranteed wage. Other destinations might offer you a base salary per week or month, with a set number of hours to be worked. This can give you more stability, particularly if you are looking to earn and save money during your gap year, but the downside is the fact that your rotas will be inflexible and you might not get as much time off to travel and see the local region you’re staying in. Before accepting a job as a ski instructor, you’ll want to check if there will be any deductions from your wages for accommodation or food, and whether these necessities are included as part of the job or if you pay extra for them. This can vary from resort to resort. Although wages in one particular location might seem lower than another, if you also get all your lodgings included, it may work out better for you in the long run than earning a higher salary but having to spend a lot of extras on accommodation, food, etc. Of course, you’ll also need to make sure you can get the correct working visa for the country you decide to work in. Although you’ll legally be required to pay tax on what you earn in that country, depending on how long you work for and how much you actually make, you might find you’re below local thresholds and can claim your tax back at the end of the financial year. Companies like Taxback can help you with this. To give you a better insight into how much you could make as a ski instructor, we’ve broken it down by country to guide you through the most popular destinations for gap year travellers. Canada boasts some of the best skiing and snowboarding in the world, and it’s long been a popular choice for travellers looking to work as instructors. 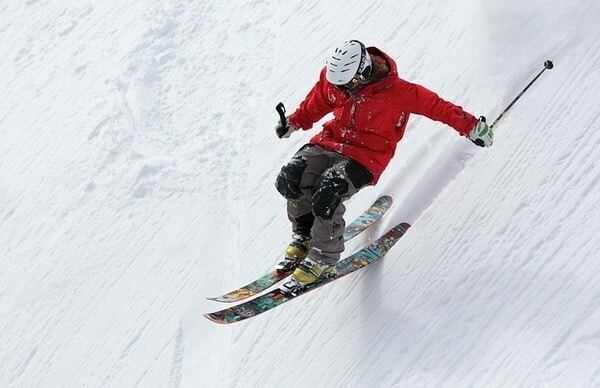 The ski season generally runs from November through to April. However in some places, the ski season can even run well into June, giving you the opportunity to work for longer and earn more money. There are resorts all over Canada, but the most famous is Whistler Blackcomb, which is often touted as having the best skiing in North America. Canada is a great choice for English speakers and if you are from the United Kingdom you’ll find it easy to integrate into local life. In the popular resorts, you can easily expect to be given a lot of work through the season, and over the holidays – particularly Christmas – you might find things are verging on being hectic, so be prepared to work long hours in the busy periods. On average though, ski instructors in Canada will work 5 days a week and around 30 hours per week, giving you plenty of downtime and the chance to explore. Your hourly rate will vary depending on your skillset, and you need to bear in mind that each Canadian province can set their own minimum wage, so this varies from place to place, although not usually by much. If you work at Whistler Blackcomb for example, then the basic starting rate for newly qualified instructors is currently $13.85, so if you work 30 hours per week then you will be earning $415.50 per week. Over the course of the month, you can take home around $1,600. Working a six-month season will give you just under $10,000 in your bank account. This might not seem like a huge amount, but as you increase your qualification levels, the pay will rise concurrently. If you need to save money, then working at a big resort will give you the opportunity to take on more hours and earn more cash, while you might also benefit from customer tips if you treat your trainees well. The USA is another popular destination for ski instructors, with plenty of resorts and, like Canada, plenty of opportunity for picking up lots of hours over busy periods. However, the USA is not always the first choice for gap year ski instructors, particularly if you’re from the UK or Europe, as getting the right working visa can be more of a challenge than for Canada. Wages also tend to be lower. While the cost of living can be cheaper in the states, you might find yourself trying to earn more from tips and working longer weeks with less time off to enjoy yourself. The pay rates can vary drastically from state to state. While there is a lot of work going through the ski season, especially in popular destinations such as Colorado, hourly wages can begin at just $7 for a newly qualified ski instructor. New Zealand is a very popular choice for Brits looking to work the ski season, given the cultural similarities and good wages. It’s a long journey with expensive flights, but you’ll find that you have the potential to earn a decent wage. 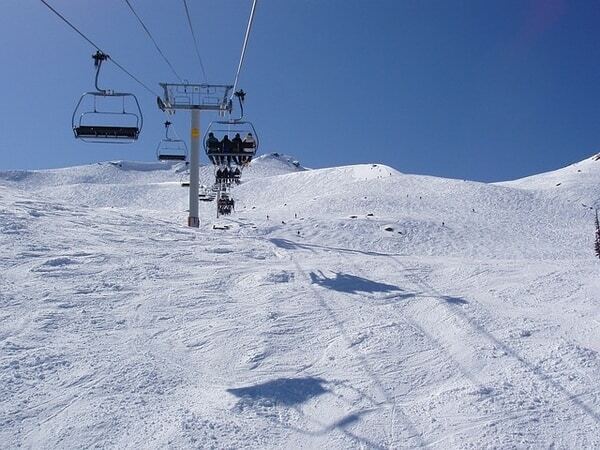 In New Zealand, the ski season runs from June to October, with the most popular resorts found on South Island, in destinations such as Queenstown. You could even work the ski season in Europe or Canada, before moving to New Zealand to work the ski season here afterwards. Given New Zealand’s small population however, there are never as many jobs going at the ski resorts in comparison to North America. If you can get yourself a position for the season though, then you are looking at earning a starting wage of NZ$17 an hour, which is the local minimum wage. Wages are higher in New Zealand than Europe or North America, but just remember that costs are higher too and if you are not careful then you can quite quickly end up spending all your earnings. Austria has some of Europe’s most beautiful mountains and best skiing, and it can be a fantastic place to work the season. Flights to Austria from the UK can be incredibly cheap, meaning that you can already save money by picking Europe over North America or New Zealand. Unfortunately given the huge competition for ski jobs, wages are low. Employers in Austria tend to pay monthly salaries, and the average pay rate for a newly qualified instructor can be as low as €900. Of course, if you have more qualifications or can speak more languages, then you can expect your wage to rise, but instructors with more experience can still only expect to be paid no more than €1,500 per month. Most instructors will work 40-hour weeks, which work out as a low hourly rate, with a ski season that runs from November through to April, depending on location. However, Austrian ski schools respect a Uniform Collective Contract, which secures the rights of instructors around minimum wage, holidays and working hours. Austria has a high cost of living, too. Although you aren’t likely to be paying much tax on your earnings, you aren’t likely to be able to save much, either. Austria is a wonderful place to work and to live though, and if you are just in it for the skiing, then it’s one of the best destinations in Europe to spend your gap year. France is one of Western Europe’s classic ski destinations, and you have the opportunity to work in world-class resorts and to earn good money too. 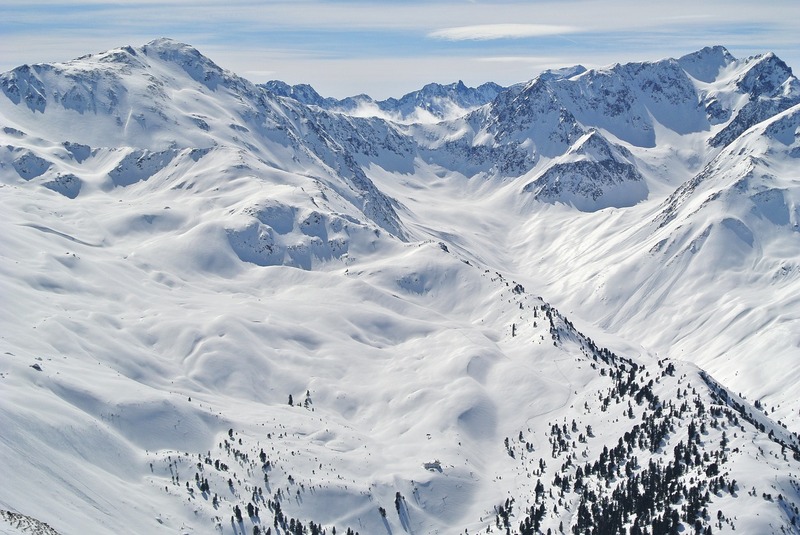 French ski resorts are some of the best paying in Europe. However, unless you have a decent level of French you may find it harder to find work. Given the huge number of tourists that visit from the UK and other English-speaking countries, there is certainly demand for native English language ski instructors. Given the highest wages in Europe for ski instructors, competition is fierce, and you’ll need to have good qualifications and lots of experience to stand out from the crowd. The rewards are fantastic though, as basic hourly rates at ski resorts in France start at €25, making this the best-paid ski destination in the world, with rates rising as high as €45 per hour for those with the most advanced qualifications. 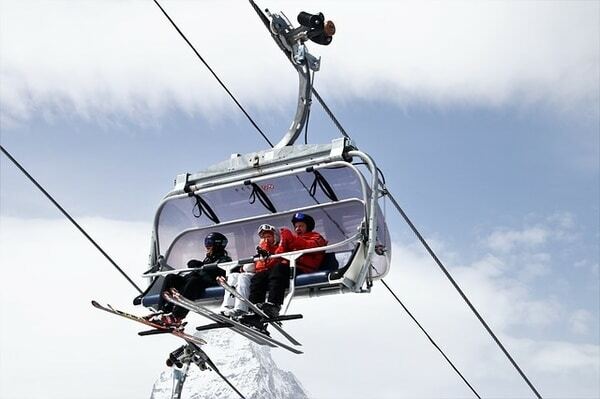 The ski season lasts from November through to April in most destinations, and over the Christmas holidays you can expect to be given lots of hours. On average, you’ll be expected to work 30 to 40 hours a week, but even on the basic pay rate, you can potentially earn upwards of €750 a week, which is almost as much as you’d earn in the entire month working in Austrian ski resorts. Argentina is hardly a ‘classic’ ski destination, but actually, the country has some incredible slopes and modern ski resorts. This is a more off-the-beaten track experience, but you’ll find Argentina to be a beautiful and unique South American country to work in. Argentina’s ski season is during our summer giving you the opportunity to get qualified before the European ski season starts and then pair it with a ski season in Europe. The cost of living in Argentina is incredibly low compared to Western Europe, and you’ll find your stay here to be comparatively cheaper than any of the other major ski destinations around the world. However, you won’t be taking your gap year in Argentina to earn big money, as wages are also low. The average monthly salary in the country is just $500, and even at the best Argentinian resorts, such as the popular Cerro Catedral, you can expect to be paid just $2 an hour. Work a 30-hour week though, and you can be earning just under $600 a month. The cost of living is 50% lower than that of countries such as the UK, ensuring you can live comfortably and enjoy the ski season in a more alternative destination. To find out more about working a ski season as an instructor or to apply for your gap year adventure, contact Oyster Worldwide today or request information on any of our gap year projects.